Summer is just around the corner, and that is getting the brew crew at New Planet Beer really excited! Don’t get us wrong, we love a fresh blanket of snow on the Rockies, but there’s just something about a cloudless blue-sky spring day that gets us going! But, as any parent with a kid will remind you: It isn’t summer yet. School’s still in session. In that spirit, we’ve developed a few “Lesson Plans” we wanted to share with you. Below is Lesson 1. Stay tuned for more lessons over the next few weeks! At New Planet Beer, we brew only gluten free and gluten reduced beer. In fact, we’re the only brewery around that has that claim to fame. 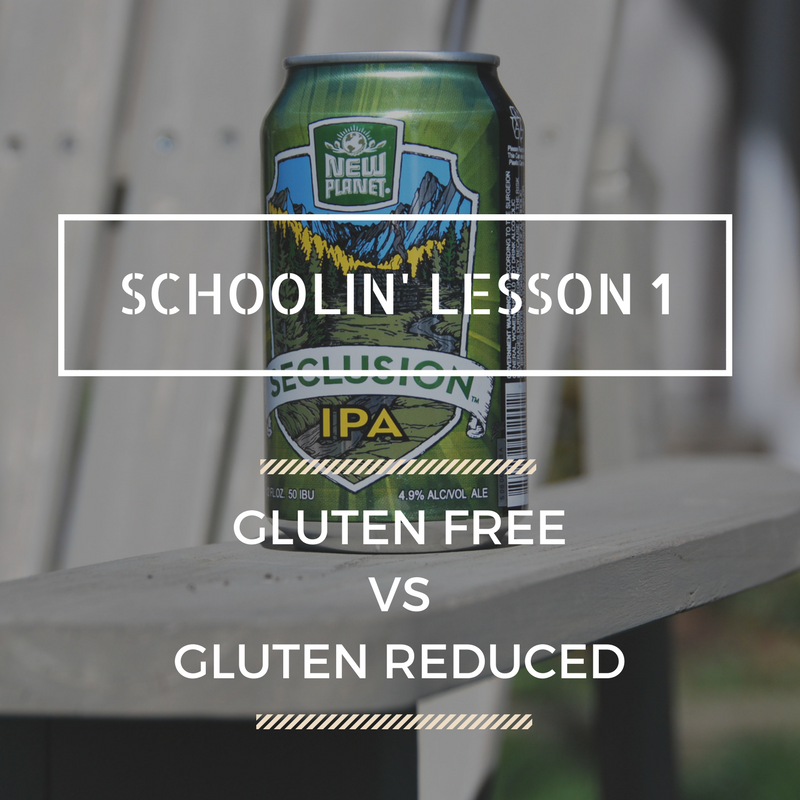 There are other breweries who brew gluten free or gluten reduced beers, but not both. Please raise your hand if you know the answers to the following questions. What’s the difference between gluten free and gluten reduced? Easy. “Gluten Free” is defined by the Food and Drug Administration (FDA), and it gets even more in depth when discussing gluten free beer. The definition from the FDA is long and boring, but in truth, those details makes a world of difference to our customers and how we brew our beer. In short, in order to call a beer “gluten free” (and be labeled as such by the FDA), it must be brewed with ingredients that test out less than 20 Parts Per million (PPM), and the brewing process itself must mitigate cross-contamination with gluten. Finally, the resulting beer must be less than 20 PPM, too. Long story short: Any gluten free beer will have a label saying it is 100% gluten free. No label? Not gluten free. Simple as that! Okay, so what about Gluten-reduced? Gluten-reduced is a bit different. It is a brewing industry term and isn’t regulated by the FDA, but is a category created and tested by the Alcohol and Tobacco Tax Trade Bureau (TTB)…try to say that fast five times after a few beers! While the TTB may not be the FDA, it is still strict! Just to give you an idea of the testing the TTB puts a gluten-reduced beer through: New Planet’s Seclusion IPA and the Tread Lightly Ale both went through the TTB testing process. And it took 12 months to get approval! Why so long? Well, the TTB performs lab tests, formula ingredient reviews, as well as tests the beer for PPM of gluten. We’re proud that our beers that are gluten-reduced test out at less that 5 PPM…that’s pretty awesome. Using Gluten-free or Gluten-reduced ingredients is one thing, but how do we ensure that our beers stay that way? This is a question we get a lot. Gluten, after all, seems to be everywhere. We have incredibly strict policies at New Planet that guides how we brew our beer. For example, we only brew gluten-free beers on Mondays. Why Mondays? Because our brewery undergoes a deep clean on Sunday. This eliminates any traces of gluten that could remain from when we brew our gluten-reduced brews. By doing it this way, we ensure that our equipment is in pristine condition, and no other beers are brewed during this time. Our adherence to this policy, among many others, ensures the integrity of our beers. Alright class, that’s it for today. Your homework for the week is to crack open a New Planet Beer and kick your feet up. Good luck!